You are here: Home » Featured » Episode 1: Who is Oliver? Because of his seemingly human-like characteristics, Oliver drew the attention of Japanese scientists and was flown to Japan for genetic testing, where he appeared on Japanese television and was seen by more 20 million viewers. The results of the testing proved inconclusive, however, and Oliver eventually disappeared from the public eye. In 1998, the Buckshire Corporation agreed to release several laboratory chimpanzees to the Primarily Primates animal sanctuary in Texas. When they arrived, one of these chimpanzees didn’t crawl out of his transport cage — he walked out completely upright. This chimpanzee’s name was Oliver. Oliver had spent seven years locked up alone in a small cage and his muscles had atrophied. Today, Oliver still lives at Primarily Primates, where he shares his current enclosure with another chimpanzee named Raisin, and where sanctuary staff are hoping to build him a new home. Primarily Primates has been able to build large, grass-bottomed habitats to house some of its chimpanzees, but the tough economy has made it challenging for the sanctuary to raise funds to build a new, larger, grass habitat for Oliver, who also has special needs due to blindness and advanced age. 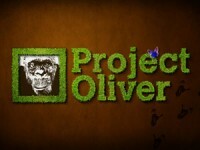 To learn more about Project Oliver and efforts to build Oliver a new living space, please watch the Project Oliver Preview video.